Suffolk County Crime Stoppers and Suffolk County Police Third Squad detectives are seeking the public’s help to identify and locate the man who robbed a man in a Brentwood parking lot earlier this year. 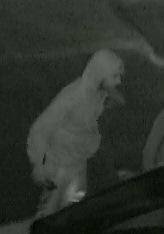 Brentwood, NY - June 16th, 2015 - Suffolk County Crime Stoppers and Suffolk County Police Third Squad detectives are seeking the public’s help to identify and locate the man who robbed a man in a Brentwood parking lot earlier this year. A man approached another man in the parking lot of Dunkin Donuts, located at 759 Suffolk Ave., stated he had a gun and a knife and stole an IPhone from the victim on April 20 at approximately 10:45 p.m. The suspect fled on foot eastbound on Suffolk Avenue. Subject: LongIsland.com - Your Name sent you Article details of "SCPD Crime Alert: Suspect Wanted for Mugging Woman at Knifepoint in Brentwood"